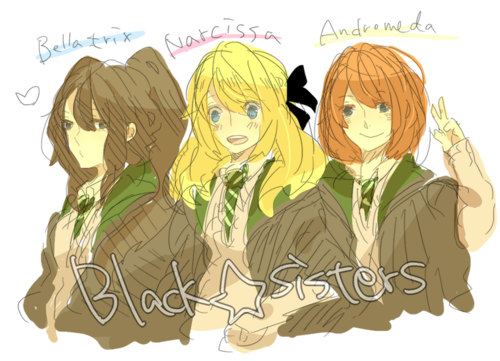 Black sisters. . Wallpaper and background images in the bellatrix lestrange club tagged: bellatrix lestrange narcissa malfoy andromeda tonks. This bellatrix lestrange fan art might contain anime, komik, manga, and kartun. Nah, Andromeda just looks drunk.